This SnapShots in Akiba site has some anime, game, or seiyuu related snapshots taken while walking around in the Akihabara area. 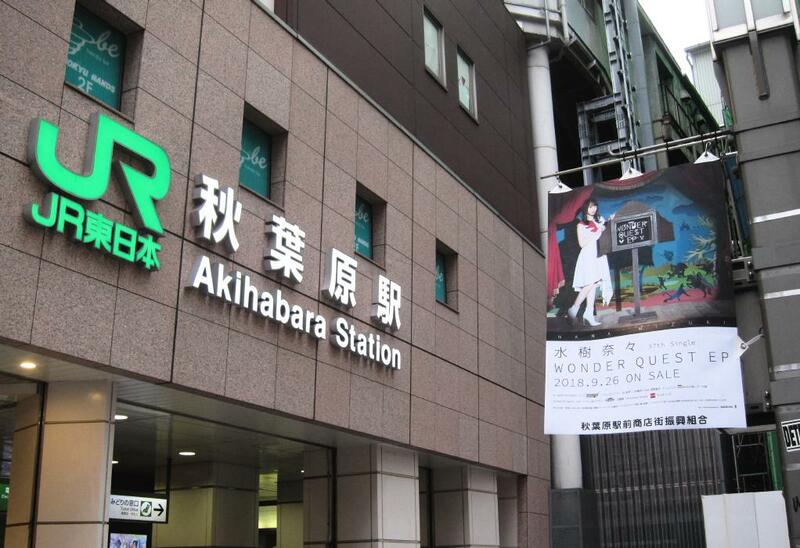 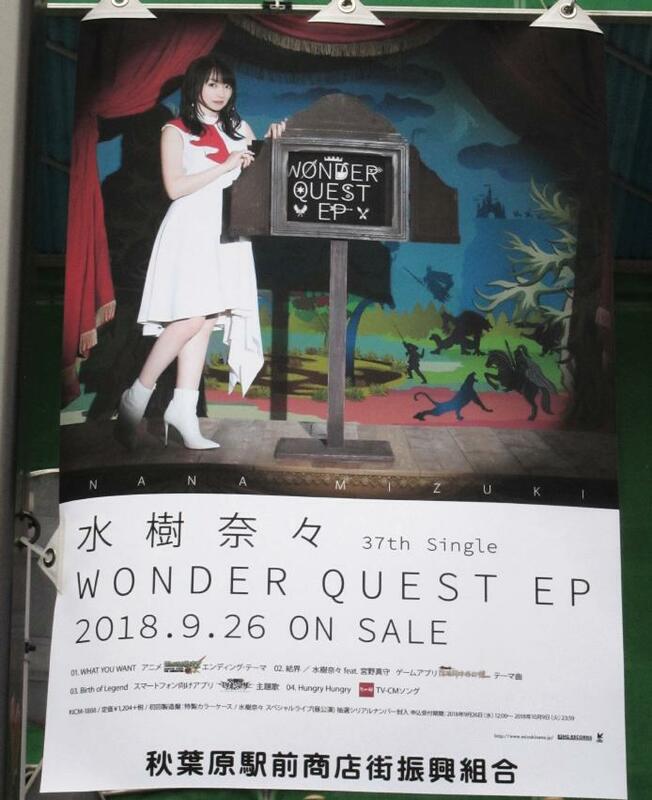 Mizuki Nana "Wonder Quest EP"
At the end of September 2018, there were tapestries on the south side of JR Akihabara Station for the latest single by Mizuki Nana. Nana's 37th single "Wonder Quest EP" went on sale 9/26.